Wiltshire is a landlocked county in South West England that is thoroughly steeped in history. It is arguably most famous for being the location of Stonehenge but there are also various other archaeological sites throughout the region. There are many National Trust and English Heritage sites to visit throughout the County including the Lacock Abbey, Westbury White Horse, Avebury, Ludgershall Castle. Although it is quite an affluent area, there are many places to stay where you will only pay cheap prices. In the countryside there tend to be more locally run bed and breakfast establishments than large hotels so you will always find somewhere affordable. There are many reasons why Wiltshire is one of the best places to visit in the UK. Not only can you experience a relaxing stay in the countryside and see some amazing wildlife but you can also learn a lot about the history of the country too. Stonehenge and Avebury are arguably the two most well known Neolithic sites in the country and they can both be found in Wiltshire. The reason Stonehenge was built and how it was constructed is still a mystery to today as there are no records left behind by the people of the time. Avebury contains the largest megalithic stone circle in the world and is not only a tourist destination but a place of religious significance to pagans. 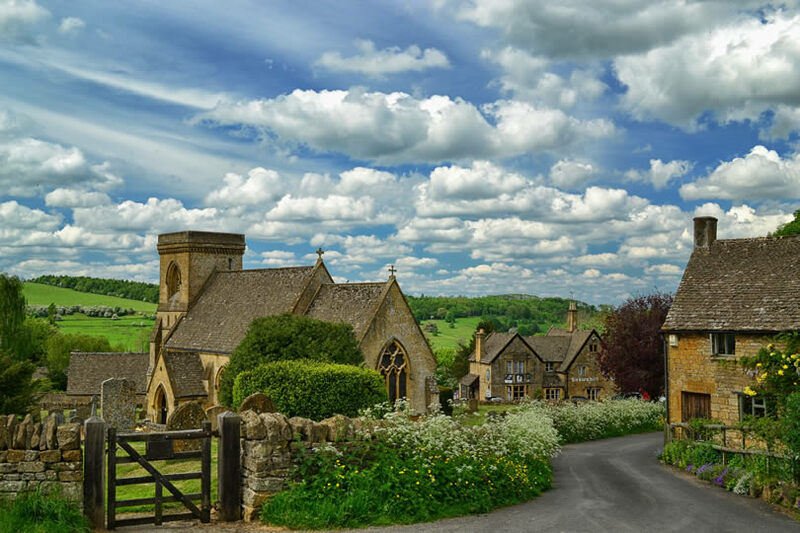 Wiltshire is also home to part of the Cotswolds, an Area of Outstanding Natural Beauty (often referred to as Cotswolds AONB). There are many wonderful walks to go on in the Cotswolds and the accommodation of choice for most walkers is B&Bs. Trowbridge is the county town of Wiltshire and is only 11 miles from the historic city of Bath. There are many options of accommodation when visiting Trowbridge, from bed and breakfast hotels to boutique hotels. A somewhat cheap option would be to stay at a country inn within the neighbouring village of Hilperton called Lion and Fiddle. The inn dates back to the 18th century and has its own bar and restaurant. It may be budget accommodation but the inn itself is very charming and welcoming. Trowbridge also has an array of B&Bs to stay in run by locals. Warminster is a town and civil parish to the west of Wiltshire. Warminster is conveniently located near to Longleat, the country house of the Marquess of Bath. The estate of Longleat is home to the first ever drive-through safari park outside of Africa and has over 500 animals so is well worth a visit. Rather bizarrely, Warminster is also a well known location for having a lot of UFO sightings in the 70s and 80s! For a romantic stay in a boutique hotel, the Bishopstrow Hotel and Spa in Warminster would be an ideal choice. Each bedroom is individually decorated and there are luxury spa facilities which includes both an indoor and outdoor swimming pool. This hotel is highly recommended as not only can you have a relaxing stay in the hotel itself, but you are also close to all the tourist attractions that Wiltshire has to offer. For those on a budget, there is a Travelodge just off the A36 in Warminster. There are also many B&Bs to choose from in Warminster and the surrounding area. To the North of Warminster is the large town of Chippenham. Chippenham is a very convenient location for those visiting the Cotswolds as it is just 4 miles to the west of it. Chippenham also has some notoriety as being the location of the accident that killed American rock and roll singer Eddie Cochran in 1960, and the town holds a festival each year to remember him. Lucknam Park, Chippenham is a boutique hotel in a very idyllic, romantic setting as it is located in the Cotswolds itself and surrounded by 500 acres of gardens and parkland. There is a wide range of activities for guests to choose from on the site itself including horse riding, clay-pigeon shooting, tennis, archery and cycling, so it would be a very good location for a stag / hen do. There is also a spa and a Michelin starred restaurant ‘The Brasserie’. For a much cheaper option, there are many quaint B&Bs and guesthouses dotted around the town. Salisbury is a large city with cathedral to the south of Wiltshire. The cathedral is famous for its 123m spire which can be seen all over the town, and the clock in the cathedral is the oldest to still fully function of its kind. 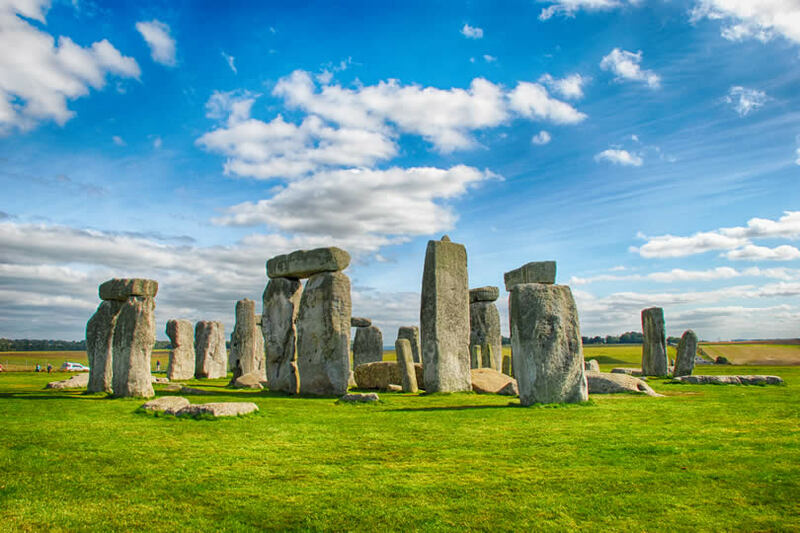 Stonehenge is only 8 miles to the northwest of Salisbury making this the perfect place to stay if looking to get there early and beat the crowds. There are many places to stay in Salisbury if you are looking for somewhere cheap, even the Wetherspoons pub in the town centre has rooms. Like many of the villages and towns in Wiltshire there is a huge choice of bed and breakfast hotels dotted around Salisbury.